A subdivision in Yaldhurst, Christchurch is held up over an eight year dispute. An eight-year dispute involving developers and a group of property owners in a stalled Christchurch subdivision has gone to mediation. 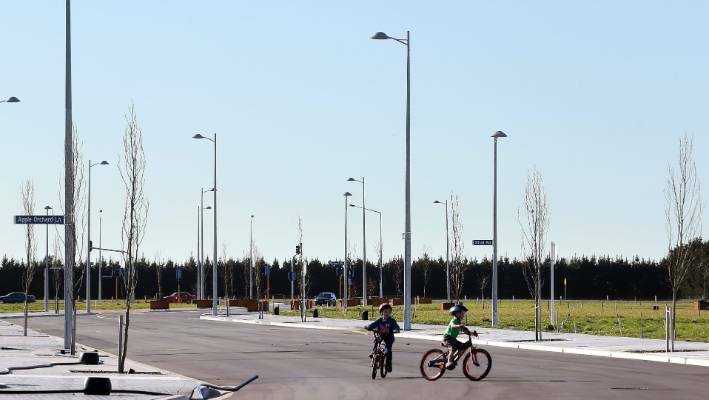 Late last year Dunedin City Council agreed to authorise its Delta Utilities company to refinance a $13.4 million outstanding debt to go ahead and complete the Yaldhurst development along with Wanaka-based developer, Infinity. To allow the development to proceed, Christchurch City Council staff recently recommended the unusual step of "dedicating" the access road rather than "vest" it with the council. But a representative of the private property owners, Colin Stokes, told city councillors that his group's rights to compensation for land for the road had not been addressed. The group could continue to seek their rights through the courts, according to the council information. Stokes spoke at the council meeting and asked the councillors to allow his group to continue negotiating with developers Infinity and Delta without making an immediate decision on dedicating the road. Stokes said his group was frustrated too and wanted the development to proceed but wanted their rights addressed. Stokes was supported by community board members Mike Mora and Helen Broughton, while two other community board members supported the staff recommendation to dedicate the road and allow the development to go ahead. Several councillors spoke, with some expressing frustration at lack of progress at the partly-completed subdivision over about eight years. But a vote of seven to five agreed to allow the staff recommendation to dedicate the road to lie on the table until a July 27 meeting. Most people who originally signed up to buy properties at the subdivision have pulled out and meanwhile Christchurch's residential property market has cooled significantly.